Early Childhood students have been enjoying using building blocks in class for various challenges throughout the year. This week, students worked in partnerships to build a tower that was taller than themselves. Building with blocks provides one of the most valuable learning experiences available for young children. 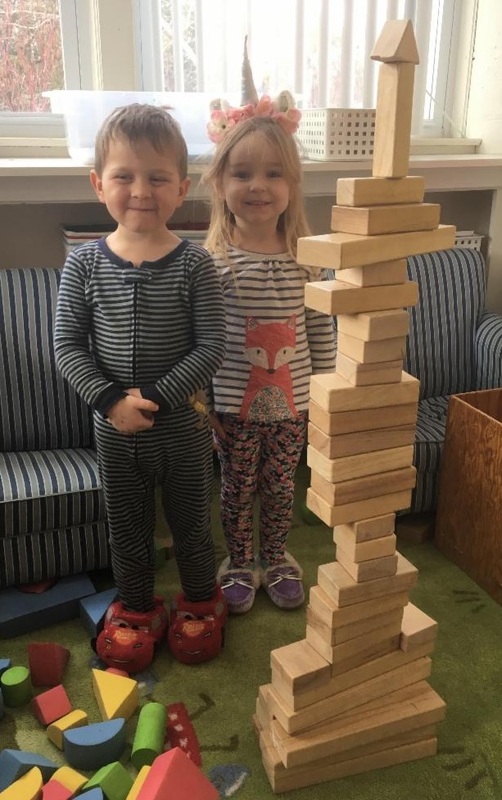 Block play stimulates learning in all domains of development, intellectual, physical, and social-emotional and language.